Are you often travelling to other places, or is there an upcoming event that is very special to you? Well, if you are, you might want to consider hiring chauffeur cars Sydney. There are several reasons why you should prefer it than others, and if you want to know the top reasons why people want chauffeur service, then you may keep reading. In this article we are going to talk about how this option can benefit you. If you are the constant traveller, you might want to minimize the stress that usually is present from long hours of travel and not enough rest. You can do this by hiring chauffeured cars in Sydney that can take you to your desired destination smoothly and comfortably. Also, it can save you a lot of time because when you get off the plane, you would not have to go looking for a cab or a ride to get you where you need to be. The car will be picking you up on time, so there is no more waiting and hailing a cab involved. This is extra beneficial for those who often travel for business and are always in a hurry. It is also great for those who want to make sure that they get to their appointments on time, especially if they are travelling during peak seasons or the rush hours. And in a busy city like Sydney, this might just make the difference. This is also one of the biggest considerations of people who travel abroad or to other parts of the country that they are not that familiar to. A lot of tourists and newcomers get victimized by robbers and excessive cab drivers because they just do not know the way around and how things work in the new place. 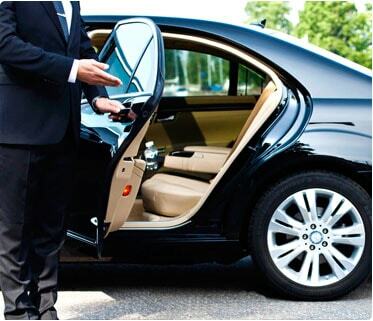 When you hire chauffeured diven cars Sydney, you do not have to worry about all these negative things and focus on your business because your driver will be certified and safe. There would be no excessively expensive fares too. If you just want to know the things around, you can hire chauffeur cars service in Sydney the first time you get to the place. Then you can do some learning so that the next time you would be very capable of doing things on your own.